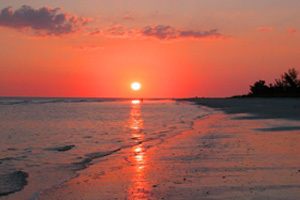 Sanibel Island Real Estate, Captiva Island Real Estate - Now is the time to list! If you are thinking of selling your home, condo or homesite in the near future, NOW is the time to start the process. We all know our busy season is, well, busy, and it's by far the best time to list your property. Our snowbirds start arriving next month and the trickle of owners and tourists turn into a flood of people as the weather up north starts to get colder. Our island traffic is always a good barameter of how our season is progressing. Selling your home is a bit more of a process than just deciding to sell. My last few blogs have been about some of the things you can do to help get your home sold. You can read Here about the importance of "de-cluttering" your home before potential buyers start showing up for a viewing. When someone shows up to look over your home, it's probably one of five or six homes they have viewed that week and you don't want your home to be remembered as the one with the kitchen crammed with clutter. Since you are planning on moving anyway, why not start the process of packing your "stuff" and getting it out of sight. Another blog I wrote was about your curb appeal. You can check that one out Here. The first thing a potential buyer sees is the front of your home and your yard. Make sure it's cleaned up and in good repair. Drive up to your home and try and use a new eye and pretend you are a buyer. Look it over and see what sticks out. Does your front door need paint? The stair railing? Maybe a bird bath that hasn't looked good in years? Weeds around the driveway edge? With just a little investment you can get your curb appeal in order and looking good! A few flowers, some paint, and some TLC will get your home in good order for a quick sale. When I get a new listing I also get to work. I have a professional photographer come and take some great pictures for advertising (a de-cluttered home is a big help). I also have a virtual tour made of your home that will get posted with the listing for all island realtors (and public) to view. 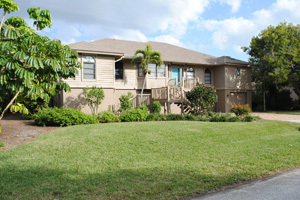 The tour is also easily viewed on public websites such as realtor.com. I send post cards about all new listings to island residents in the area and on my contacts list, and nice curb appeal really helps the post card photos pop! My job is to sell your property and I take it very seriously. 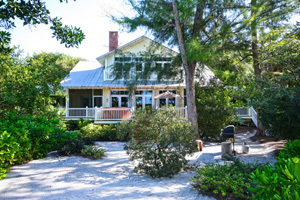 I am a long-time island resident and I understand this market and the challenges of buying, selling and building on our beautuful barrier island! 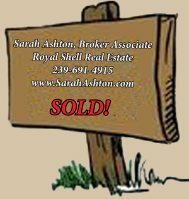 Give me a call at 239-691-4915 or use my Contact Form, and I will get to work to get your property sold! This is sure to be a busy season, so what are you waiting for?